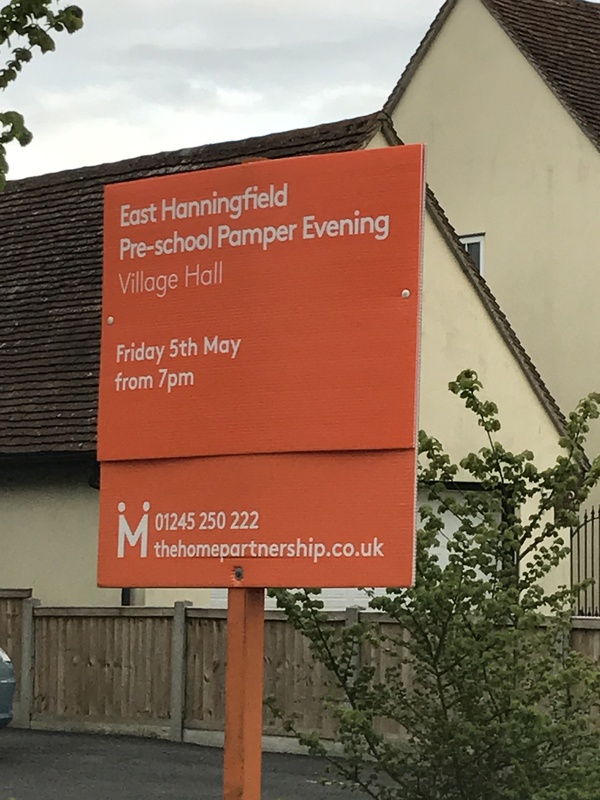 We are delighted to be sponsoring once again the East Hanningfield Pre-School Pamper Evening, which will take place on 5th May 2017 at East Hanningfield Village Hall. We have tweaked our for sale signs to create enough room to promote the event, as well as emailing the event to our mailing list and posting on our social media pages, Facebook, Twitter & Instagram. We were delighted to have sponsored once again the Chelmsford Winter Beer & Cider Festival which took place on 15th to 18th February 2017 at Kings Edward VI Grammar School, Chelmsford. We tweaked our for sale signs to create enough room to promote the event, as well as emailing the event to our mailing list and posting on our social media pages, Facebook, Twitter & Instagram. As you know, we love to help communities and charities. 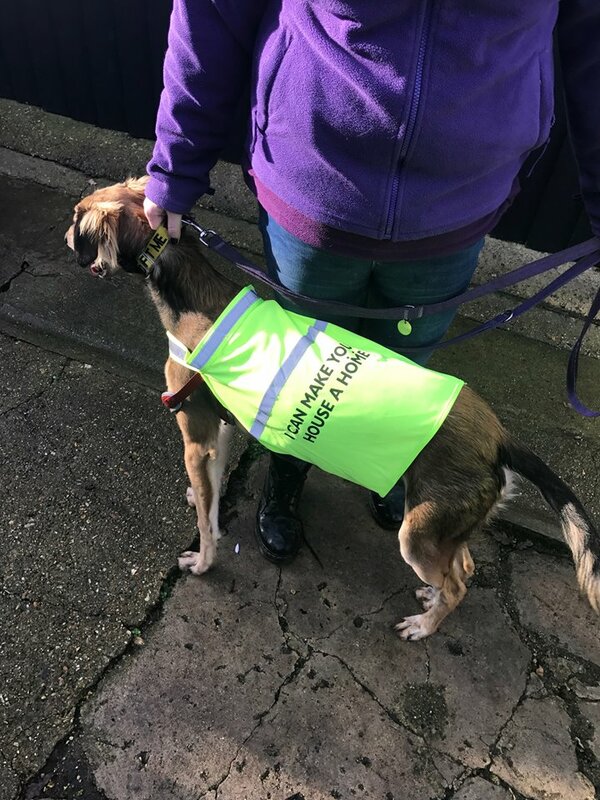 We visited Wallace Kennels back in December 2016 to present them with 15 high viz. dog waistcoats to wear whilst out walking with the volunteers! Baxter the Saluki modelled the waistcoat perfectly for us! Wallace Kennels are a self sufficient charity relying solely on donations, jumble sales, fundraisers and rehoming fees. Set up originally by the late Vera Robinson MBE approx. 50 years ago, the kennels can accommodate up to 60 dogs, therefore contiuous public support is essential. They are currently short on volunteer walkers (specifically week days) so if you do have some spare time, please contact Dee (01277 821032) to offer your services! We were pleased to be supporting another Warley Primary School event - Warley Primary School Winter Wonderland 2016 which took place on Saturday 3rd December. We asked the pupils to get involved again by decorating our sponsor boards/posters. Photos of the creations were post on our Facebook page for the public to 'like' their favourite. The winner was the board/poster with the most 'likes'. Holly was the winner of the competition with a fantastic 73 likes! On the day of the Winter Wonderland Holly was give a basket of goodies for her prize - as pictured above. To advertise the event we had tweaked our slips to promote the event, as well as emailing the event to our mailing list and posting on our social media pages, Facebook, Twitter & Instagram. We are proud to get involved with another local event, St Peter's School & Brentwood brewery beer festival which took place on Saturday 1 October 2016. 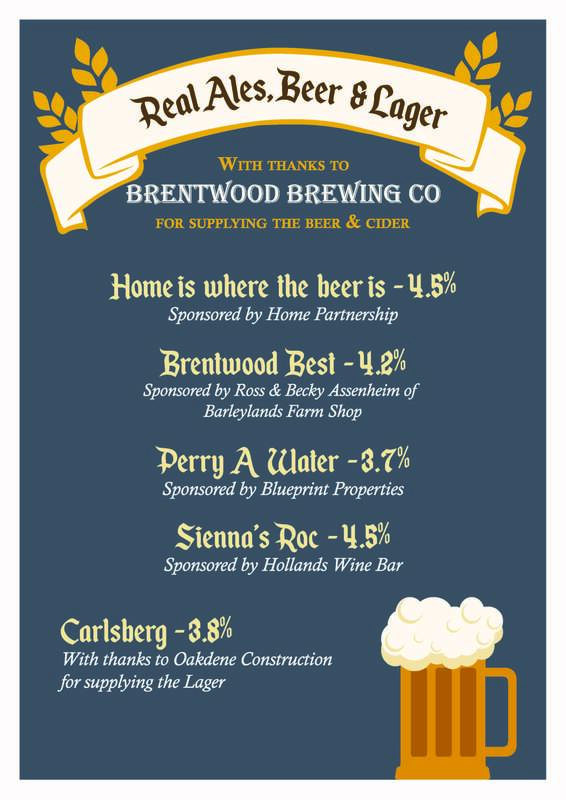 Home Partnership sponsored a barrel of Brentwood Brewery ale and we asked the public to name it for us! The competition took place on our Facebook page with the public commenting their suggestions. The winner was announced online the week leading up to the event. Debbie Dale was successful in naming the barrell 'Home is where the beer is'. We helped to promote the event further on our social media pages, Facebook, Twitter & Instagram. We are pleased to be sponsoring for the second time, Chelmsford & District Fuchsia Display 2016. 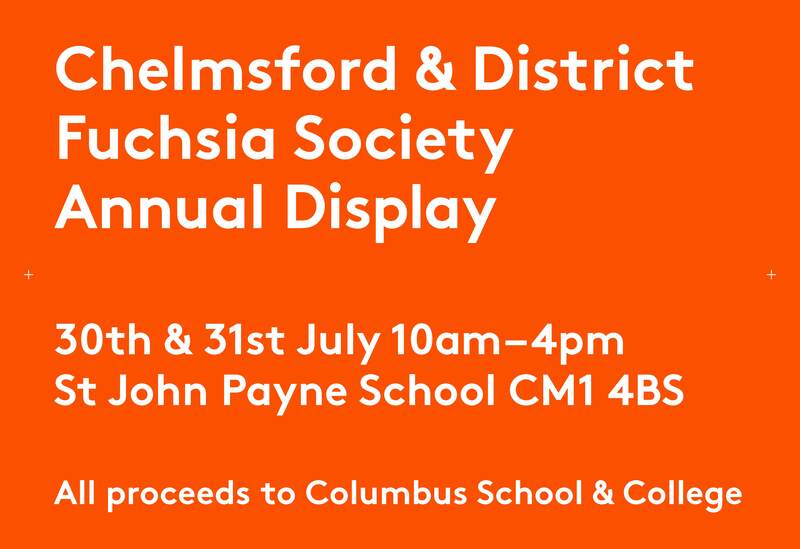 The event is being held at St John Payne School, Chelmsford CM1 4BS on Saturday 30th & Sunday 31st July between 10am - 4pm. ALL proceeds are once again going to Columbus School & College for Special Needs Children. We have created new slips to sit on our brand new boards to promote the event, as well as emailing our mailing list and posting on our social media pages, Facebook, Twitter & Instagram.